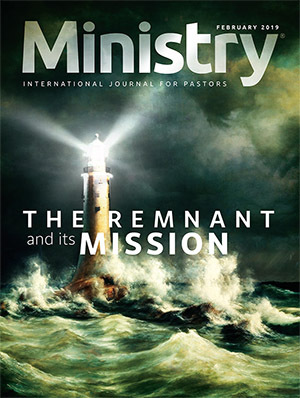 In retirement, a lifelong preacher and trainer of preachers offers a simple sermon of faith and assurance for ministers and those to whom they minister. How do you shape your sermons so they touch the lives of your people? This article, which concludes our series on preaching, not only tells why your sermons should be practical but suggests that by such methods as characterization and modernization you can really affect your listeners' lives. This is a practical article on practical application in preaching! Why is it that the church cannot be moved? Is it because of her citizens? because of her guards? because of her gates? because of her machinery? because of her leaders? It's because of the presence of God in her midst. In many ways the success of preaching depends upon the success of the illustration. An idea without an accompanying illustration is like an airplane without wings; the idea is not going to fly. The most successful preachers soon discover that illustrations have a way of personalizing the message, of attaching an address to it. As preachers, when we fail to use illustrations, it's the same as writing a lengthy letter but failing to address the envelope before mailing it. If you re frustrated at times because your preaching doesn't seem to move people to change, it probably is because they aren't sure just what your sermon is really calling for. And if your congregation doesn't know, maybe you don't either. Probably the most difficult part of sermon preparation is defining in your own mind, clearly and in a single sentence, the idea you want your listeners to take home with them. This sixth article in a twelve-article series on better preaching will help you do just that. In this article, Dr. Bresee deals with the role of emotion in worship, particularly in preaching. He answers the questions as to how logic and emotion should be related and in what sequence they should come in the sermon, and gives six principles for using emotion in preaching. Preaching comprises a major part of the impact a minister makes on the lives of his congregation. Most of us have taken some kind of public speaking course as part of our preparation for the ministry. 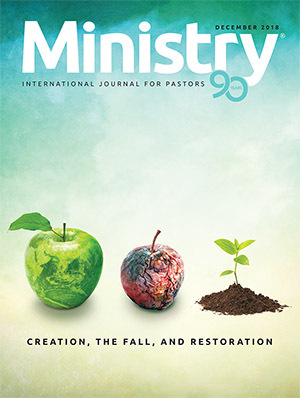 The author suggests we may grow in our preaching abilities even more easily now—and introduces a course on preaching offered through MINISTRY. If you've ever wished for an inexpensive course to help you grow professionally and spiritually, the Center of Continuing Education for Ministry may have just what you want. 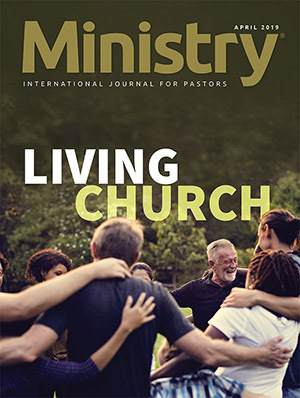 One objective of the General Conference Ministerial Association during this quinquennium is to develop a resource center that will make more readily available materials that ministers can use in their work. The Ministerial Supply Center is just now beginning to function. MINISTRY interviewed W. Floyd Bresee, secretary of the association, about what the center is already doing, and his dreams for its future. Some of the services you have a right to expect from your ministerial secretary. "Don't make noise with your clothes." "When our cup is drained, we've no place to turn,"
In true worship, the congregation is the actor, the preacher is the prompter, and God is the audience. Both consciously and subconsciously your sermon will grow as you are working. I had been spending hundreds of hours in communication classes some at Garrett Seminary, most at Northwestern University. The buzz words were dialogue and group dynamics. Howe helped me relate all this theory to the practical life of the local congregation. I began to grasp the absolute necessity of dialogue in the church generally and in preaching particularly. What does 1888 have to say to us about relationship and obedience, the cognitive and the affective, conflicts between the young and the old, reformers and the church? Young preachers were overwhelmed by the unintended messages their voices, appearance, and mannerisms conveyed. God has given you all the ability you need to preach as well as He means for you to preach. The church hopes to give strong support to both the hurting North American conferences and the worldwide work. It's a given that Christian clergy are to be committed persons. But precisely what should they be committed to? If you were given pencil and paper and asked to draw a picture of Seventh-day Adventism, what would you draw? What should the preacher preach from? Manuscript? Notes? Nothing? Suggestions for effective topical Preaching. Many sermons we preach never really get "delivered." We have gotten them out of our system, off our hands. But, perhaps because of the way we worded what we had to say, they didn't get into the minds of those for whom they were intended. They were preached, but not delivered. 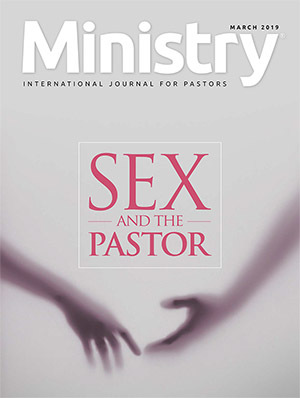 There are roles more important to the job description of the pastor's wife than church offices such as Sabbath school superintendent, Pathfinder leader, or church organist. 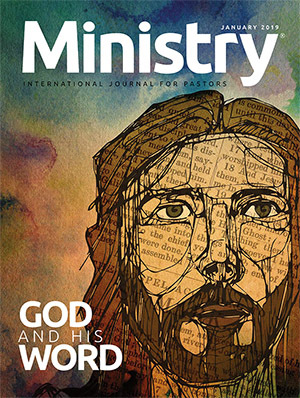 J. Robert Spangler, Ministry's longest serving editor, retires. Too many Adventist congregations are like the fisherman who caught fish but had nothing to show for it because he put them in a sack with a hole in the bottom. God has blessed our church with success in fishing for people. But we're not keeping enough of what we're catching. The ideal sermon conclusion speaks to the mind by pulling together and briefly summarizing what the sermon teaches. But that is never enough. It also speaks to the will by encouraging the listener to act on what the sermon teaches. The story of the Seventh-day Adventist Church is largely a success story. In 1890 there were 19 Adventists per million of world population. One hundred years later there are more than 1,000. In 1940 we baptized an average of less than 100 per day. Fifty years later we are approaching the 2,000-per-day mark. Several suggestions for effective expository preaching. A sermon is like a love affair--it's easier to start one than to end one. Preachers preach too many elephant sermons. An elephant sermon is one having a big head at the beginning, plenty of body in the middle, but almost no tail at the end! The conclusion seems just an afterthought. Guidelines for effective narrative preaching. Since my listener didn't see me as a person of authority, he couldn't accept my answer as authoritative. Every pastor longs to lead an active, growing congregation. But how do you organize for action? How do you plan for growth? Two basic suggestions: set objectives; use committees to reach those objectives. Pastors may be many things, but there is one thing they must be: spiritual leaders. Where does the preacher go to find something worth saying? We've looked at four sermon resources: your Bible, yourself (your personal relationship with Christ), your library, and your file. We conclude with another important resource: your people. We can actually preach until worshipers go away from church worse off than when they came-even angry. Nothing is much good unless it's put to use. Five purposes of a good sermon introduction. Previously we discussed the preacher's primary sermon resource, the Bible. A second resource is yourself. What do we study? What resources should we use in sermon preparation? First and foremost, the Bible. Do you want more fire in your preaching? This twelve-part series will help light the flame. Christian lifestyle results from belonging to Christ. Look up--Jesus and you can do it.